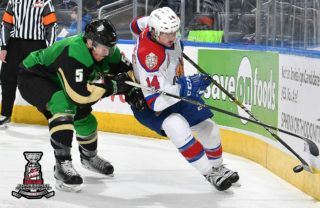 Saskatoon, SK – The Prince Albert Raiders weren’t able to solve Nolan Maier on Tuesday night, falling 1-0 in Game 3 of their 2019 WHL Playoffs Round 2 series at SaskTel Centre. The Raiders lead the best-of-seven series 2-1. 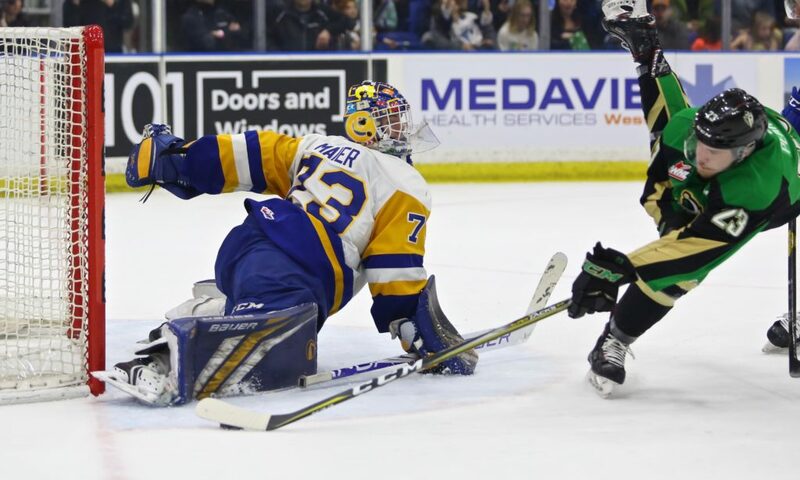 Maier turned aside 26 shots in the game for his second shutout of the year against the Raiders. The previous clean sheet was on Dec. 9, which was also in Saskatoon. 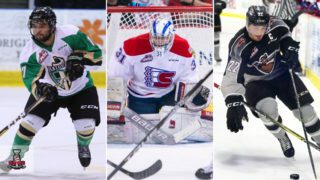 At the other end, Ian Scott made 26 saves in the Raiders’ first loss of the 2019 WHL Playoffs. The lone goal of the game came less than five minutes into the contest. Scott made the save on Nolan Kneen’s point shot. Kirby Dach was on the top of the crease, collected the rebound, and put it past Scott to give the Blades a 1-0 lead 4:21 into the game. The Raiders’ best chance of the opening period came on an odd-man rush led Justin Nachbaur. He caught the Blades on a three-on-one chance, passing across to Parker Kelly, who dropped it for Dante Hannoun. However, the overager was stopped by the left pad of Nolan Maier. In the second, the Raiders upped the pressure in the Blades end. Noah Gregor skated around the zone with a tired group of Saskatoon skaters on the ice, but was denied on his wraparound attempt. Later, Kelly put two one-timer attempts on goal that were both stopped by Maier. Late in the frame, Cole Fonstad was sent in on a partial breakaway. As he was getting tripped on the play, he put his attempt on goal just wide of the far post. The Raiders were unable to capitalize on the power play. In the third, the Raiders kept firing at Maier. 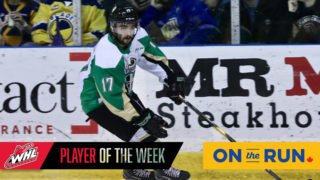 Brett Leason set up Aliaksei Protas from behind the net, but Maier was up to the task and turned away the import forward. Scott did his part to keep his team in the game. On a late power play in the third, he denied a cross-ice one-timer from Ryan Hughes. With Scott on the bench for the extra attacker, the Raiders continued to press. 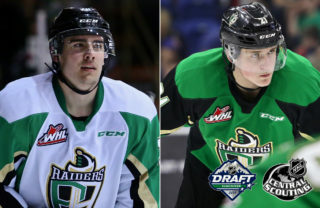 Two late attempts by Leason went just wide of the far post and past the sticks of the Raiders players posted up at the side of the goal before time expired. Game 4 of the series will be played on Wednesday night in Saskatoon. Listen live on 900 CKBI, or watch at The Rock and Iron Sports Bar. 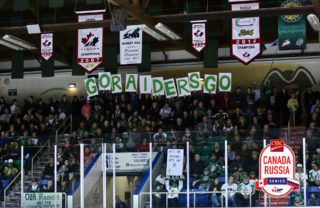 The series will return to Prince Albert on Friday night for Game 5. 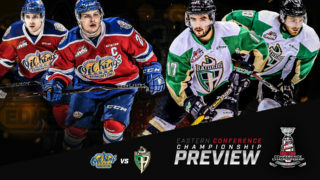 Puck drop at the Art Hauser Centre is 7 p.m.
Tickets for Friday night’s Game 5 will go on sale on at the box office at the Art Hauser Centre on Thursday morning at 9 a.m. Online ticket sales will begin at 10 a.m.